In the wake of last summer’s deadly Legionella outbreak, owners and managers of NYC buildings with a cooling tower MUST understand how to comply with the new ASHRAE standard and develop a Water Safety Plan. 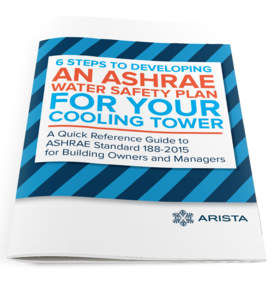 DON'T MISS OUT on this helpful resource to understand the ASHRAE standards & process for water safety compliance. Get your FREE copy now! DOWNLOAD YOUR QUICK REFERENCE GUIDE NOW!